Rather than publishing the texts in one of the journals that Taunton publishes through Manticore Press, this time she bundled two essays into a small book of 116 pages. The first essay is about fate in Norse religion, mostly about the Norns. The second is “an exegesis of Voluspa”. Both essays look like summaries of books that have long been available, in English even. 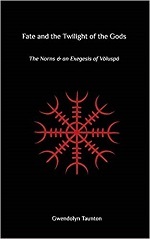 The first text mostly quotes Bek-Pederson’s The Norns In Old Norse Mythology and Winterbourne’s When The Norns Have Spoken. The second text has a longer bibliography, but often refers to Rydberg and Grimm. More interestingly several issues of a periodical called History Of Religions are used. This book was written by a Freemason who is also a member of the Ordo Templi Orientis and I understood the book would be about where the two systems touch. This is partly true. The book has about 120 pages of text and actually contains four essays. In the first “section” the author writes about “The integral relationship between Freemasonry and Ceremonial Magick”. 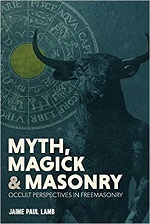 The other sections are about “Solar and astrological symbolism in Freemasonry”, “Elements of classical mythology in modern Freemasonry” and “Freemasonry and the rites of Mithras”. When I was reading Flowers’ book about the Fraternitas Saturni I was curious if the mentioned publications would still be available. This proved to be very well so. Both “Saturn Gnosis” and “Blätter Für Angewandte Okkulte Lebenskunst” are available in reprint. 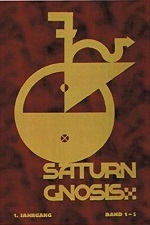 The first five issues of “Saturn Gnosis” from the publisher “Verlag Geheimes Wissen” (along with other Fraternitas Saturni material), the rest (further “Saturn Gnosis” and “Blätter) from the publishing house of a follow-up of the original order. 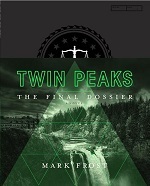 The Amazon link under the cover goes to a limited first edition, but the book can still be ordered from the earlier mentioned Verlag Geheimes Wissen. The first five issues were published between 1928 and 1930, were first reprinted in 1992 and have been available for the general public since 2008. The publication is a little odd. Each issue contains fairly long essays that are fairly general and therefor seem to aim at the general audience rather than the order’s membership. Then each issue ends with “Logenmitteilungen” (‘lodge announcements’) listing new members (under pseudonym), who went to another grade, etc. That sounds much like an internal publication. Also there are a few texts directed to members. This book was mentioned in Flowers’ book about the Fraternitas Saturni and I wanted to read a descent work about the Illuminati some day anyway. This one is presented somewhat as an ‘ultimate work’, so I got myself a copy. The title refers to the original name of the organisation that was rapidly replaced by a name that sounded better. The author collected information about the Illuminati on his computer and in the early days of the internet made a website from these notes. Over the years Melanson got the name of Illuminati expert and he got requests to structure his information in a book. Well, the book actually looks like a printed-out website… It has many low-res images posted in the middle of the text. That may be good enough on a website, but it looks awful in a book, especially when also lengthy pieces of text are added to the images, sometimes even needing more than one page. I think I am about back up-to-date with the Manticore journal publications. Contrary to the previous two reviews of this publisher “Aristokratia IV” is indeed a journal with an editor and essays of different authors. Being a Manticore publication there is a lot of Nietzsche of Evola. Being an “Aristokratia” this journal is of a more political / sociological nature. The texts are about a variety of subjects. The opening article is about revolutions in Russia. Then follows Gwendolyn Taunton with a text about the “more Nietzschian than Nietzsche” Italian author Gabriele D’Unnunzio; an interesting text about Nietzsche’s philosophy in practice. Other more biographical texts are about Max Stirner, Emile Zola and Neville Goddard. Further there are sociological and philosophical texts that usually have a slight Traditionalist undertone. Just as most of his books, Flowers has revised this book a couple of times and republished it. 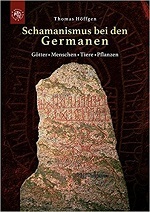 The book was first published in 1990 as Fire And Ice: The History, Structure And Rituals Of Germany’s Most Influential Modern Magical Order – The Brotherhood Of Saturn. 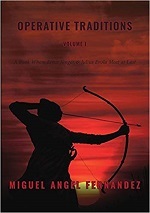 A second edition was published in 1994. For the third edition 2006 (self released on Runa Raven) the title was changed to The Fraternitas Saturni – or Brotherhood Of Saturn: An Introduction To Its History Philosophy And Rituals. 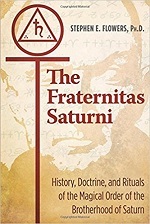 This fourth edition is published by Inner Traditions, is again revised and expanded and this title changed again, this time to The Fraternitas Saturni: History, Doctrine, And Rituals Of The Magical Order Of The Brotherhood Of Saturn. The story behind the book is interesting. When studying in Germany, the author received actual documents of a notorious magical order about which not much had been published, certainly not in another language than German, including history and rituals. There are still people working under the name and Flowers got permission to publish the information. The rituals are not those that are in use nowadays anyway. Just as with “Tantric Traditions“, the title suggests that this is another Manticore journal, especially because of the “volume 1” in the title. But just as with the other book, “Operative Traditions” is a book by one author. Another suggestion of the title is Masonic. Before there was “speculative” Freemasonry, there was “operative” masonry. The selling line: “Where Ernst Jünger & Julius Evola meet at last” seems to suggest another direction though. In fact, both is true. 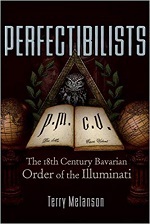 The book is, to a certain extent, about “operative” traditions from before 1717, but rather than seeing it as a progression, Fernandez sees 1717 (the ‘founding’ of modern Freemasonry) as a turning point to the negative. He does not say that Freemasonry is the problem, but suggests that the same development that led Freemasonry to leave operativeness, led the West to loose its eye for the miraculous and an over-appreciation of technology and science. Strangely enough, this book is not listed on the website of the publisher, nor are the other titles of the same author. The book is available from the Masonic Art website that is related to the publishing house (click on the cover). “Alchemy, it’s meaning for Freemasonry” was just released. 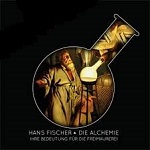 The author is a German Freemason who took up an interest in alchemy. The selling information says: “This is not a book about Alchemy, but a book about its meaning for Freemasonry”. In my opinion the author only lives up to this partially.